RUSH: I think the mayor of Charlottesville took a page out of the book from the mayor from Baltimore. What was her name? Forget her name. Remember where she said — what was her phrase? Give them space. Give them room so they can get it out of their system, give them space. Look, the police were ordered to stand down in Charlottesville. Somebody wanted that to happen, folks. The police were told to stand down. The police are saying, “No, no, no, no. We were retreating to go get our riot gear.” Well, why didn’t you show up in riot gear? 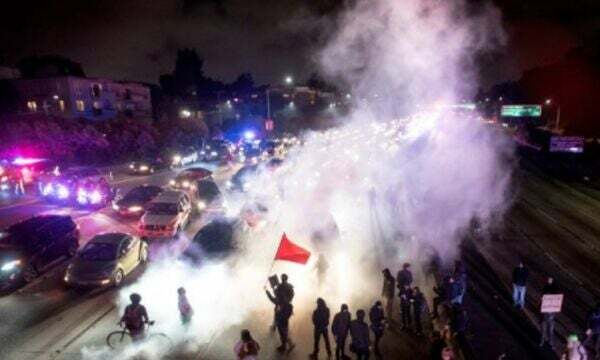 If you retreated to get the riot gear, why didn’t you come back with the riot gear on if that’s where you went?” They were ordered to stand down. I’ll tell you something else. I think all of this is organized, folks. I think Terry McAuliffe, in fact, was trying to use this whole episode to launch his presidential bid and he botched it because he doesn’t have that big ability to get noticed. I mean, this is a pretty big deal. This is what Democrats do. This is what Clinton, Oklahoma City bombing launched the rebirth of his presidency. The Democrats see a crisis and found out how they can benefit from it while making people think they’re trying to fix it or solve it. And I think McAuliffe was doing the same thing. Remember Rahm Emanuel, a crisis is a terrible thing to waste? I think not so much there are people that wanted this to happen but knew it was going to and so let’s see if we can milk it. And in order to milk it, it had to happen. And in order for it to happen, the police have to stay out of it. As the NYPD said, “It wouldn’t have had have happened here. We wouldn’t have let these two groups get within eyesight of each other. And we certainly wouldn’t let some renegade car enter this whole scene.” Somebody wanted it to happen, or somebody knew it was gonna happen and didn’t want it to stop because they wanted to try to capitalize on it. RUSH: Look, if I didn’t have this every day — this microphone — I’d be as hog-tied, frustrated as you are. And I am. I am. I just I acknowledging I have an outlet for it here. But, folks, all of this — this is all organized, and it isn’t anything new. The same people that rallied after Hurricane Katrina are this bunch. The same people were in Ferguson. They’re the same people that rallied in Oakland. These are the same people that have been around for at least since the Bush administration protests. Occupy Wall Street. It’s the same bunch of people, just moving from protest to protest and march to match. It’s the same bunch of people. Now they do have their true believers, don’t misunderstand. I mean, there’s plenty of poisoned-minded college kids out there who have been brainwashed and literally poisoned with hate for their country, and they’re there. But I’m telling you, the organization for this is the same. It’s being done on purpose. It’s not spontaneous. It’s being done on purpose. It is reported as though it’s all spontaneous. It’s reported as though, “Everything was peaceful and everything was tranquil — until some people decided to march in Charlottesville to oppose the tearing down of the Robert E. Lee statue, and that is what ignited the flame.” That’s the exact opposite of how this is all happening. It’s the left that is thoroughly organized and bought and paid for and is essentially on call, if you will. They are on standby. Few people would probably know that or acknowledge it, even if told, because the way it’s reported makes it all look spontaneous, makes it look like… Well, just look at Indiana. Mike Pence signed into law the Religious Freedom Protection Act. Remember how immediately there was a massive statewide protest against Pence and the Illinois legislature as a bunch of racist homophobes, Christian zealots? The media shows up — the national media — and they start knocking on business doors trying to find a business that would admit it would not cater a gay wedding. They finally — in some suburb of a suburb — found a 22-year-old daughter of a pizza owner, “I — I — I wouldn’t. I — I don’t think I would,” and they just descended on this poor pizzeria and this young woman, and they just painted her out to be the modern incarnation of evil. That was all planned and action waiting in the shadows for the go signal. But it’s reported as though it is a national outrage! “The people of America are beside themselves at the idea we need to preserve American history! The American people cannot stand the idea that there’s a Robert E. Lee statue anywhere, and they side with the leftist protesters that want to take them down.” That’s the way it gets reported. You’re being lied to — we’re all being lied to — every minute of every day in the form of what they tell us is news, which is really just the narrative that is the advancement of the leftist agenda. RUSH: By the way, folks, Hillary Clinton has just given $800,000 from her campaign fund to the Trump resistance movement, which is what’s funding all of these rent-a-thugs. It’s all a left-wing movement, and it’s all organized. RUSH: Yeah, I’m looking for a story. I had had it right here at the top, and I’m gonna find it. Peter Beinart in The Atlantic magazine had a story before Charlottesville happened, and it’s all about the danger of the violence that’s coming from the American left today. I’m stunned that The Atlantic ran it, but again they ran it before Charlottesville happened. And I just had it, and I showed it to Snerdley here just moments ago. But this is what happens, things accumulate and stack up on top of each other, and it’s here somewhere. But, anyway, before I find those things there’s another piece here about: “Think Things Will Be Rosy for Democrats in 2018? Not So Fast.” Dan Balz in the Washington Post. This is also an interesting piece, and it’s along the lines of the piece that ran in November of 2011 when the Democrats acknowledged they’re getting rid of white working-class voters. But I want to get back to Charlottesville here on the theme we had earlier that the mayor played a role in the police department there standing down. 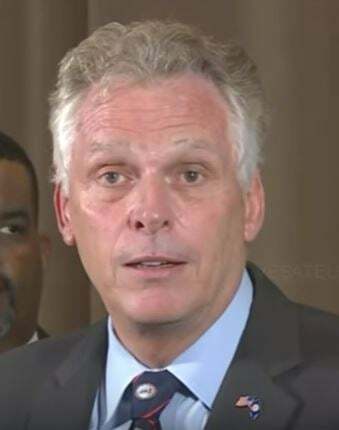 The Washington Free Beacon is reporting that the Virginia state police say they were not outgunned in Charlottesville despite Terry McAuliffe’s claim. Now, I just want to reiterate a theory of mine. I’m not suggesting that any of these people made this happen or orchestrated the event. I think they knew it was gonna happen and sought to capitalize on it. I think it’s why the police were told to stand down. Terry McAuliffe wants to be president. He’s thinking of seeking the Democrat presidential nomination for 2020. And I think he was gonna launch his candidacy from this event. He tried to, and the fact that you haven’t heard about it is an indication how poorly he did and how badly it went. But it’s right out of the Rahm Emanuel playbook: Never let a good crisis go to waste. I’ve been saying since yesterday, in any of these events, you ask yourself who benefits? There’s always a benefit here, because this is organized, these protests, these riots are all organized and have become strategic. They are tools that the American left, the Democrat Party is using to basically transform the country, to essentially take it over, making it look like they are nothing more than the representatives of the popular opinion of the country. It’s one of the greatest scams that we’ve seen being run. The media is complicit and makes it happen. Terry McAuliffe in the aftermath, in order to explain why didn’t the cops do anything? Why did the cops stand down? It’s a big deal. And McAuliffe came out and said, “Well, the riot cops and the state police were outmanned, they were outgunned. I mean, these Nazis and these white supremacists, they had military grade ammo and weapons.” Really? So he’s trying to claim credit here. The Nazis and the white supremacists were a militia. And they had better weapons than the state police. Now, wait a minute. All of a sudden Democrats likes Terry McAuliffe are saying the police are not sufficiently armed? I thought the Democrat Party was the party that believed the police were vicious, mean, racist pigs. I thought the Democratic Party thought the problem was that the cops have guns and that there’s too much militarization going on in police forces. But now all of a sudden Terry McAuliffe wants more of that. Terry McAuliffe, the governor, wants the police to be more militarized. Well, that’s not what they were saying after Ferguson and Baltimore. So why have they changed their tune? Anyway, this is not true anyway. There weren’t any firearms visible in any of these video clips that we’ve seen and some of the still shots. The idea that the white supremacist nationalists and the Nazis had semiautomatic weapons and were more deeply armed than the state police? That’s just a bit of a stretch. And from the Associated Press. “Experts: Police Response Inadequate at Charlottesville Rally.” So this theme is picking up. Now we have a flashback. Let’s go back to August — not a flashback, actually. This is a story from August 14th. I don’t understand what the flashback is here. It’s from The Daily Caller. “Charlottesville Mayor Mike Signer declared the city the ‘capital of the resistance’ at a rally held in January following the election of President Donald Trump.” Oh, I see what the flashback is here. They’ve got it dated today but the event happened back in January. So the mayor of Charlottesville, guy by the name of Mike Signer, said that Charlottesville is the capital of the resistance. He said this in public at a rally in January after Trump was inaugurated. Signer — maybe he pronounces it Signer. I don’t know. Again, I’m not trying to mispronounce it. I just haven’t heard it pronounced and it looks like it’s Signer, Signer. If I’m mispronouncing it, please don’t be distracted by that. “Signer organized the rally to announce his plans to ‘resist’ the Trump administration by providing legal assistance to immigrants and directing the Charlottesville’s Human Rights Commission to address reports of xenophobia or racism.” This is right after Trump’s inaugurated. Look at what this mayor is already presuming. Charlottesville’s Human Rights Commission to address reports of xenophobia or racism? He also said “he was considering violating federal law by making Charlottesville a ‘sanctuary city’ for illegal immigrants. I’m telling you, folks, all this is organized. The mayor of Charlottesville has been getting ready for this ever since Trump was inaugurated. “January 31st, 2017, Charlottesville mayor holds rally to declare city capital a resistance.” That’s from the NBC affiliate WVIR. So don’t doubt me on this one. And then we have another story. This is a flashback from The Daily Caller: “How Obama Handled Racial Nationalist Attack.” And this is about the Black Lives Matter demonstration in Dallas where an avowed black nationalist murdered five police officers during a Black Lives Matter demonstration. Now, Trump and his team have been urged to speak out against the so-called Alt-Right from the get-go. I never heard of this Alt-Right, by the way, until sometime late last year. And when I was first asked what it is, I didn’t know. I couldn’t answer it. I don’t know what the Alt-Right is. It seems to me the left has defined the Alt-Right as white supremacists and Nazis, so forth and so on.